If you’re a keen online casino player who hasn’t ever participated in a tournament, then it’s high time to change that. Online casino tournaments come in a variety of shapes and sizes, but they all share one very important thing in common – they give you an additional way to win money! Just by playing the games you love, you can take part in a tournament and if you do well, you can win cash prizes. 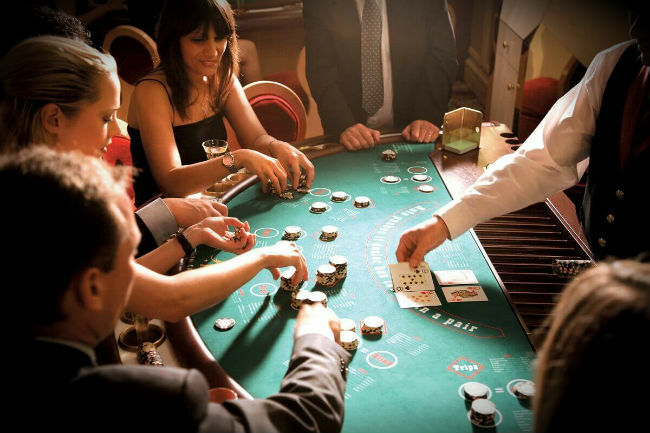 Besides the opportunity to win even more money, casino tournaments are a lot fun as they add a serious amount of action and excitement to your gaming session. Online casino tournaments are usually focused on slots games, but we’ve seen tournaments for blackjack, roulette and other popular casino games as well. Getting involved in online casino tournaments is easier than you think and often you won’t have to do anything but play games to take part. Tournaments will typically give away prizes to the top 10 to 25 players so participants have a good chance of walking away with some extra cash or even great physical prizes like gadgets or holidays. How does an online casino tournament work? The prizes awarded at online casino tournaments are usually cash sums. Often, an online casino will set an amount of let’s say $10k as the tournament’s prize pool. Then, when the time’s up, that prize pool is divided amongst the leading players, with first place getting most of the sum, the two runners-up getting nice amounts, and the remaining top players winning consolation of prizes of anything from $10 to $100. Leaderboards usually include spots for the top 10 to 25 players. Special online casino tournaments will also offer physical prizes such as iPads, cars and even luxury holidays. For some online slots competitions, you don’t need to do anything at all to enter as entrance to the competition is automatic. The casino just monitors players and at the end of a timeframe that is decided beforehand, the casino software rounds up the scores and pays out the winners. Online casinos will let their players know about the competition, but even if you missed hearing about it, you’ll still be considered a participant. Should you care? Hell no! It makes no difference if you don’t win, and if you do, all the better! In any case, the casino will contact you if you’ve won. But remember, a lot of tournaments are completely free to enter, so keep your eyes open! It’s become quite common for online casinos to hold tournaments although some are more active than others in this respect. Any casino that opens its doors to Canadian players, will also allow Canadians to enter into the various tournaments and competitions. Some of the more unique tournaments are advertised in newsletters or dedicated mailers. Online casinos will also post notices on their promotions pages about upcoming tournaments. Our recommendation is to open up mailers from casinos and stay up-to-date by regularly checking the promotions pages of the casinos you play at. That way, you will know about tournaments ahead of time. Mailers and promotional posts about tournaments will always include instructions on how to enter, and when the tournament begins and ends. Another good thing to do is to follow your favorite casinos on Facebook. The promotions teams of leading casinos will often make sure to update their Facebook pages with current competitions although regarding tournaments, this is sometimes information that’s only marketed to players that have deposited so again, open those casino mailers! The most common type of online casino tournament will follow play on slots games. These tournaments are usually divided based upon software brand. For example, if you’re a registered player of a NetEnt casino, you’ll receive an email about a slots tournament which ranks you based upon your play of NetEnt slots. This follows for other brands such as Microgaming, and Playtech etc. Most slots tournaments allow you to play any game that is created by the selected software developer. There’s nothing to worry about though. You won’t be disqualified by playing games that aren’t participating in the tournament. It just means that your play on other games won’t go towards putting you higher up on the leaderboard. Online casinos will also host special tournaments for high rollers. Such tournaments typically offer really big prize pools and are aimed at rewarding players for their loyalty. High roller tournaments are played in the same way as regular tournaments, the main difference being that players have to be invited to take part. By staying on top of promotional mailers sent to you by your casino, you’ll know about high roller tournaments in time to participate. There’s every reason to enter the next online casino tournament you hear about. If you don’t want to buy an entry ticket, just look out for the free tournaments. Most casinos will require that you’re a player who has made a deposit, but that’s a given. Casino tournaments are a lot of fun and add an extra edge of excitement to your gaming. If you’re already a session slots player, there’s every reason to join the excitement of the world of casino tournaments, especially since this can win you extra cash and other amazing prizes. See you on the leaderboards!